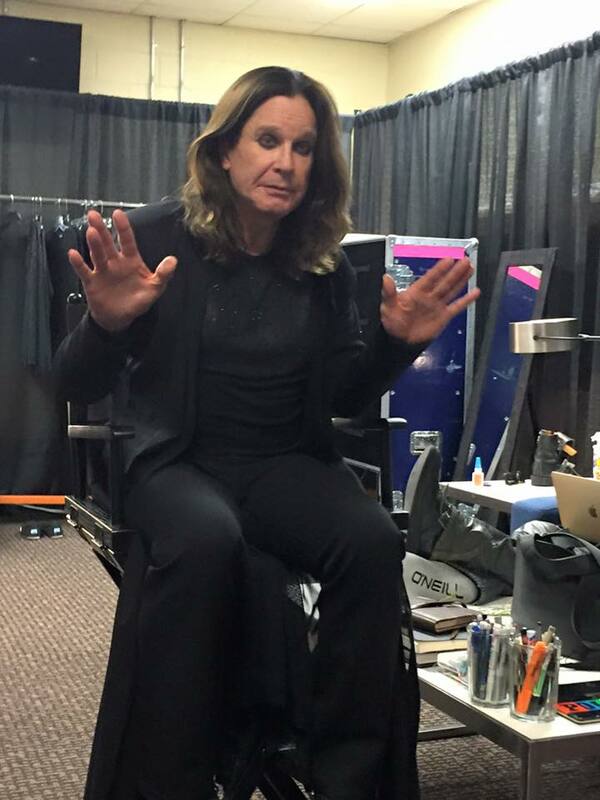 Fan meeting in Ozzy's show in Sao Paulo. On April 25 Ozzy Osbourne performs at the Monsters of Rock in São Paulo, marking his return to the festival after long 20 years. Keeping the tradition of other shows of Ozzy, Madman admirers will have the opportunity to meet on the 4th National Meeting of Fans to exchange information, meet friends, make new friends and fraternize. The meeting, which has the support of production of the Monsters of Rock, will begin at 10 am and will be extended throughout the day at the show input queue to open the gates, following during the event. To Almir Figueiredo, the Fanzmosis fan club, event organizer, the fan meeting has been important to every show and mobilizes more fans each edition. They claim that the entire record of the meeting is also sent to the staff of Ozzy Osbourne. 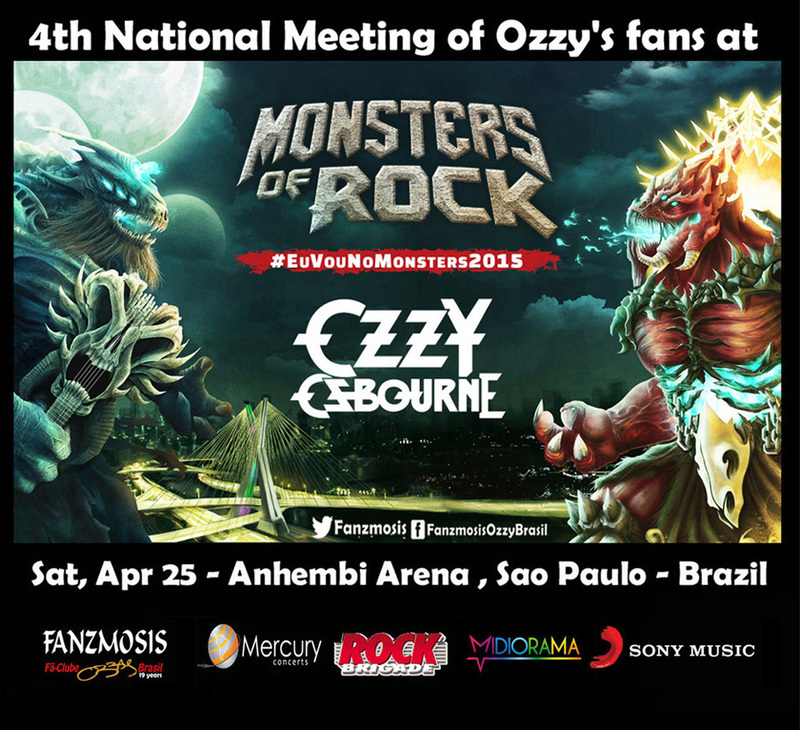 4th National Meeting of Fanzmosis and Ozzy Tour at Monsters Of Rock SP. Interaction with fans, giveaways, news coverage and photography of the event. Date: Saturday, April 25, 2015, from 10 am. 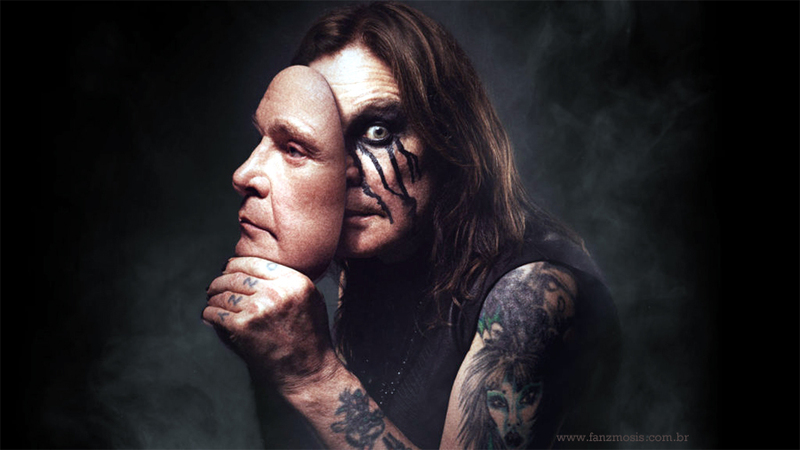 * Created in 1996, the Fanzmosis (www.fanzmosis.com.br) is the oldest Ozzy Osbourne portal in the world and has brought to the Brazilian fans all the news about Ozzy's career, and has one of the most enviable collections rarities.